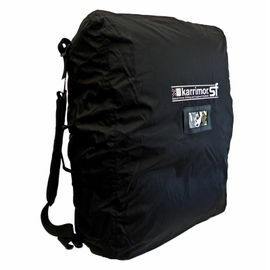 The Karrimor SF Sabre Side Pockets are designed to add extra storage space to your existing rucksack. Being PLCE-compatible means that they can be used with current UK military issue equipment. They may also be used in conjunction with the Karrimor PLCE Yoke System to create a minimalist 25 litre day pack. Karrimor Side Pockets will attach to your PLCE-compatible pack by way of two tough YKK zips, along with strong plastic buckles at the top and bottom of each pocket. Webbing straps from the rucksack can then be fed through a set of exterior fabric belt loops on the Side Pockets to hold them in place securely. A supremely durable 1000 Denier Nylon is used for the vast majority of the pockets, offering long-lasting strength. This is then given a silicone/PU elastomer coating for improved tear strength, and finally a DWR finish for better water repellency. 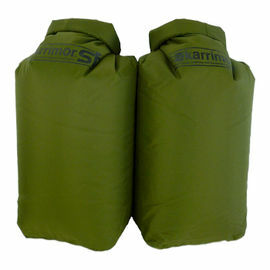 Karrimor SF Sabre Side Pockets - Olive Green is rated 5/5 based on 29 customer reviews. Very good size pockets. Swallows kit easily. I particularly like the attachment system. Well made and a perfect addition to main bag. Highly recommended. These two pouches won't leave you hungry, with the yoke they are more than ideal for a day trip without the main sack. Fits a crusader kit with room to spare. These side pouches will be perfect to increase carrying capacity during the cooler months. Great quality and service. Nice side pockets to use as singles, or coupled with the yoke as a daypack and as expansion with My Sabre 45 or Sabre 75. Very nice Equipment to use in the Forrest, Bushcraft. 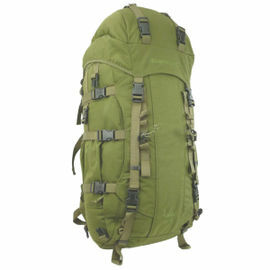 I bought this as extra equipment for my Sabre 75 rucksack, for a day in the Forrest. Thanks Karrimor. Great quality and a simple addition to my sabre 45, making it considerably more capacious! The Karrimor SF Sabre Side Pockets are a must in combination with the Karrimor 45 Litre Backpack to allow the versatility of expanding your Backpack capacity. The simplicity of the system is great, the Side pockets are made of the same robust material along with the zip and clip on the sides of the Sabre Backpack. They have zip tops to access your items and this prevents anything falling out. The Side Pockets have really good fitting tops which fold over the top zips to avoid any water ingress etc. You can purchase the separate shoulder harness and these Side pockets can then be used as a smaller Backpack for daily excursions, foray or collection trips from your main campsite. 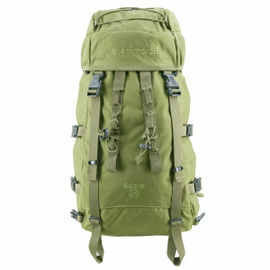 Excellent, sturdy item allowing good expansion of the rucksack and even for use with the yoke system as a lightweight day pack. I haven't used it in anger yet but I have no reason to believe it will be any less tough and useful than the superb Sabre backpack. Very speedy delivery. Are two pockets included in the price? Yes, this set is a pair of two pockets.